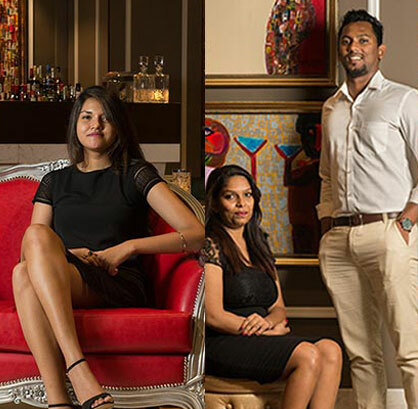 Set deep within the Indian Ocean, Maldives is a hard to beat holiday destination whether it’s the sun, sand and sea, or the culinary experiences, the culture, hospitality and the oh-so perfect getaways with the most intimate and private villas. Some of these villas offer ultimate seclusion away from the rest of the villas in the resort, with ample space, your own private pool to soak up the sun, luxurious beds overlooking sunsets and a private butler to keep your needs attended 24/7 as and when required. Let’s have a look at some of the stunning and cozy villas in the beautiful Resorts in the Maldives that will guarantee your privacy 100%. Looking for Discounted Offer for the Most Private Villas in Maldives this coming Eid ?? Apart from the exceptional dining and Spa experience that will take you and your loved ones wanting more, W Maldives' Wonderful Beach Oasis is another reason why you should consider spending your holiday here. 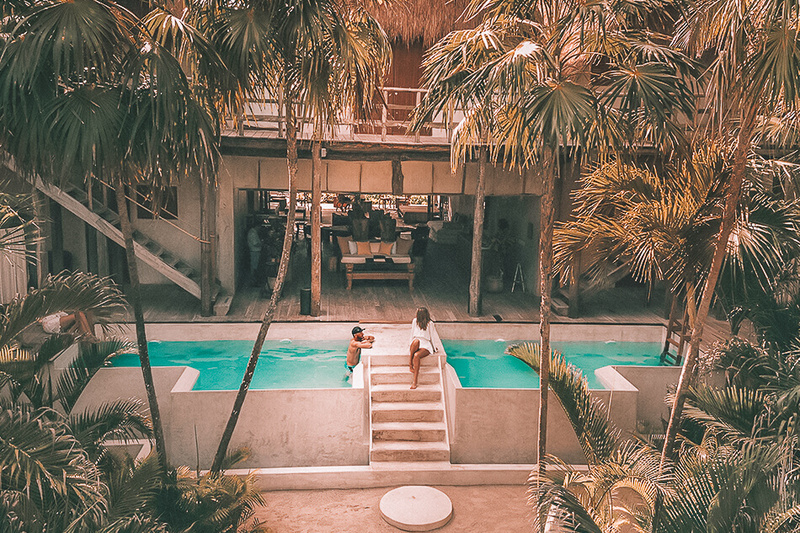 Each Beach Oasis will offer you your own private pool to unwind and a double storey villa which is cozy and secluded enough for you to feel like you have the entire island to yourself. If you request to stay at the Chill Island instead of the Play Island that my friend is as private as Maldives can get. 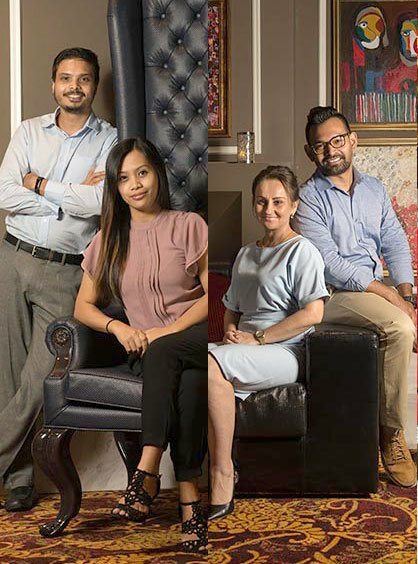 Don't go by "this is number 10" ; Out of the thousands of villas in the Maldives, what made to this list with our decade long expertise are THE MOST PRIVATE VILLAS in the entire collection of islands in Maldives. Located in the UNESCO Protected Biosphere of Baa Atoll Soneva is a resort that is one of the oldest resorts and one of the most loved resorts in the Maldives. They offer their guests with true luxuries such as an opportunity to go barefoot, to eat a fresh salad from their own garden and even have an open air cinema. One of the other reasons to love this resort is the amount of privacy it offers in all types of villa. While Crusoe Villa is an entry level category which is not exorbitantly priced; much to the myths about the resort. And these villas are nestled amongst thick and rich vegetation and framed by near empty beaches which allows a great deal of privacy. The island is unspoilt and the reef is excellent and there is no way that you’d know if you have neighbors or not thanks to the generous amount of spaces between all villas. Whilst Fairmont Maldives has some amazing options to chill out, be it at the open-air bamboo bar created by Balinese artisans, or the reviving destination spa, their most highlighting feature would be the Beach Villas offering ultimate privacy for those who would love to spend some time alone in their own private space. 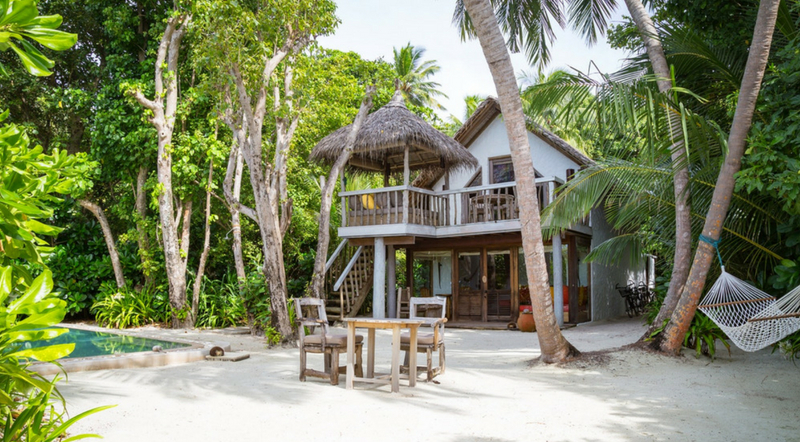 These beach villas are nestled amongst the mangrove foliage and a few steps away from the white sandy shores. A Sala to unwind on a lazy evening and enjoy each other’s company and a private plunge pool to dip in the middle of nowhere. 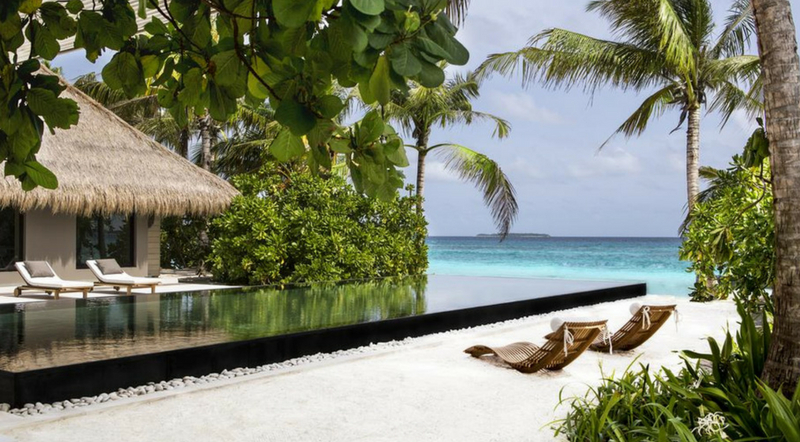 Lounge your days away in Cheval Blanc Randheli’s Water and beach bungalows away from the hustle and bustle. These villas are just perfect to spend some alone time with a loved one and live out a fantasy like luxurious vacation. With absolute idyllic settings, you can enjoy a glass of champagne overlooking the lagoon or the ocean or a romantic lunch in an outdoor setup. Milaidhoo water pool villas and beach pool villas are a great option for those seeking privacy throughout their vacation. Now who wouldn’t want to just wear whatever and soak up sun island sun on an oversized daybed by a pool overlooking the azure blue waters of the ocean? These villas offer its own infinity pool and has direct access to the beach which makes it even dreamier as you can take a walk on the powder soft sandy beach any time of the day with a loved one or enjoy a glass of wine whilst dipping your toes in the water. 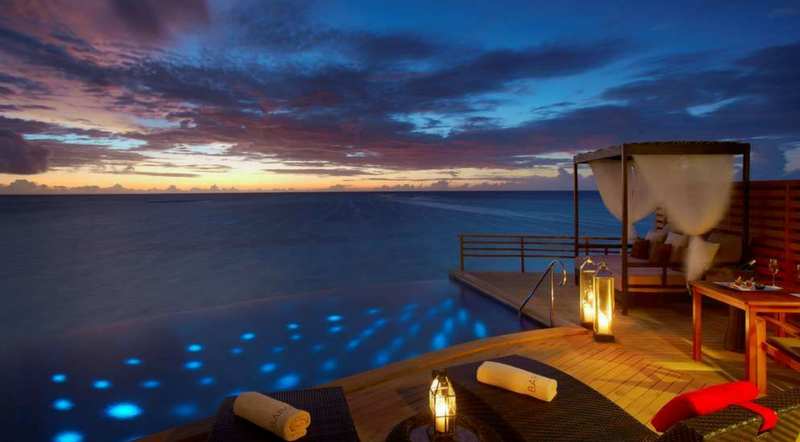 Thinking of spending an epic honeymoon in the Maldives? 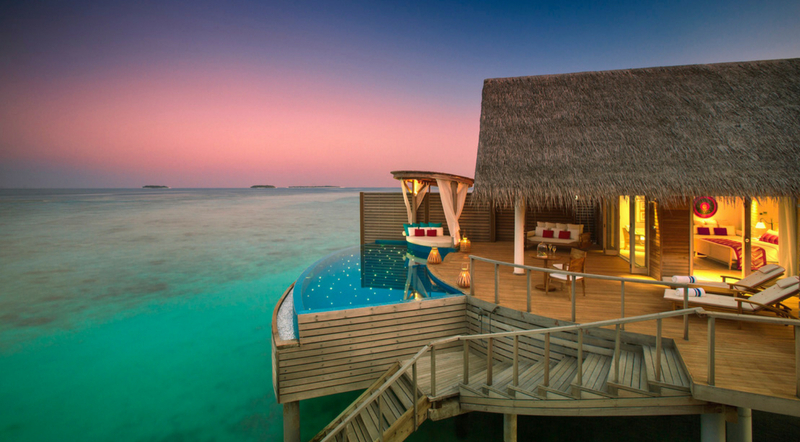 Then you’re in for a treat at the Conrad Maldives and their Retreat Water Villas in particular. 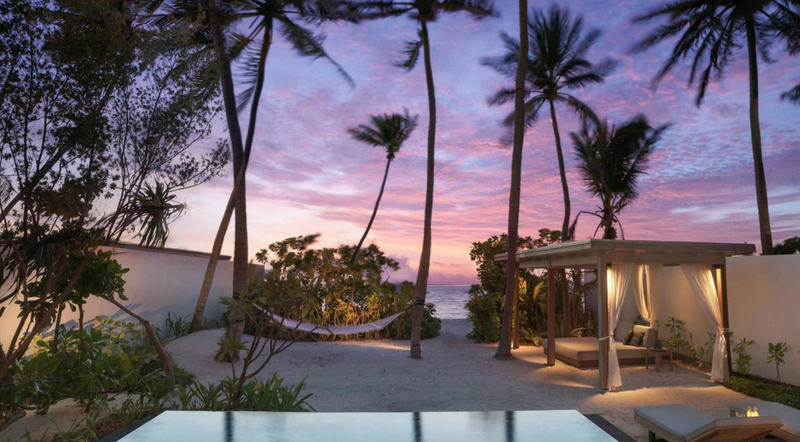 Whilst bagging the award for the “Maldives Leading Water Villa Resort 2016” title, these villas offer nothing short of an ultimate luxury holiday with ample privacy. 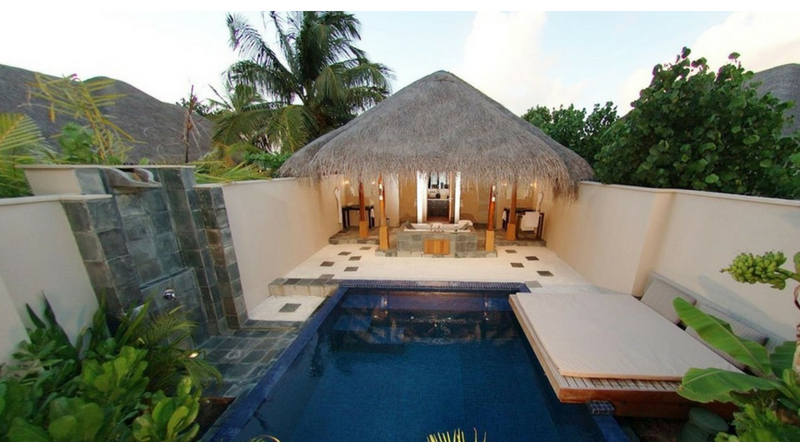 These villas are a dream come true with a plunge pool and stairs directly leading into the Indian Ocean and an ocean-facing tub in the bathroom. Better yet amazing couple’s treatments and customized massages are available in your own villa for a romantic indulgence for two. 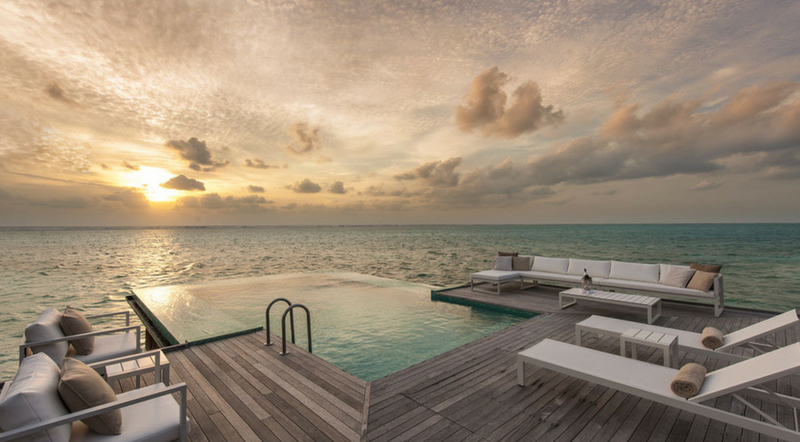 You can wake up to different hues of the ocean and the sun kissed skies at the Huvafen Fushi Beach Villas. You will be assured of plenty of privacy, so get in to those lustrous bikinis and plunge in to your very own illuminated infinity pool. An open-air shower in a private garden which makes it even amazing and an oversized bath for two. These villas are sensual, cozy and very private which gives you enough time to get away from the rest of the world and holiday away with someone special with the most perfect backdrops of the ocean. 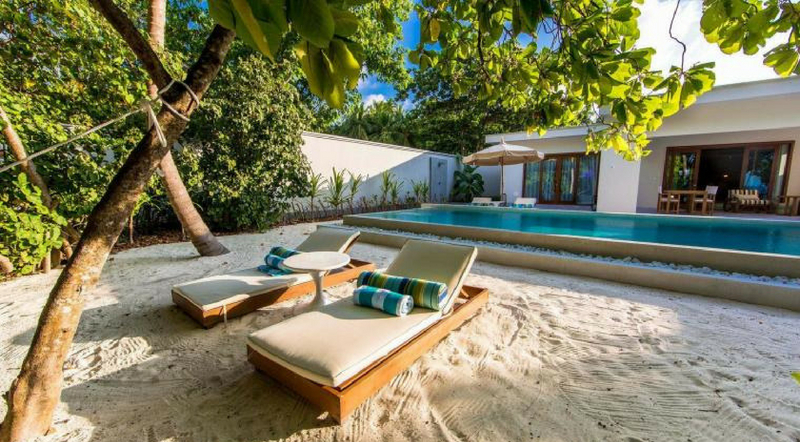 Whether it’s on your honeymoon, a holiday with a loved one, family or a group of friend, at Amilla Fushi you will be offered a dreamy beachfront villa where the talcum like sandy shores are at your doorstep. Enjoy the sounds of the lapping waves, hypnotizing sea breeze and views of the crystal clear lagoon from your very own glamorous bedroom which epitomizes the ultimate relaxation for any traveler. Imagine a private dinner under starry gazed skies right outside your villa away from the rest beneath the waters of the lagoon? You’re in for more surprises in this in this ultra-luxe space. These villas are just out of this world as they are settled above the Baros Sea with luminous waters around you with endless skies. 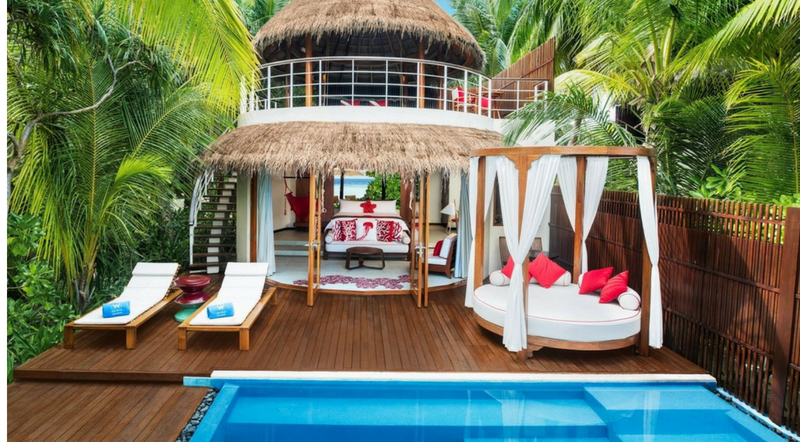 It’s a sanctuary with canopied daybeds and a wide timber deck to enjoy cocktails under the sun. With your very own villa host, you will not feel like stepping out of your villa as everything will be taken care of. Besides it’s too beautiful to leave and you would not want to miss those sunsets. Looking for a place to break away from the rest of the world? Then Baros Maldives is the place to be. White sandy shores for a stroll in the evening or a dip in the crystal clear salty waters? The choice is yours. These villas are as private as it can get and with the lagoon wrapped around you, you will feel at ease. Sway in the Doni-shaped swing whilst watching the endless skies without a care in the world. Better yet, you can surprise someone special right outside the villa over an alfresco candle lit dinner by the moon. These villas are packed with modern amenities and whatever you need at your fingertips so you will at home and your personal villa host will ensure that your needs are met anytime of the day. We will leave no leaf unturned to serve you to your satisfaction. With our expertise and the dedicated destination specialists, We ensure that you receive the best of what the destination has to offer from the basics, like visa requirements to the smallest details such as a pillow menu.